Buckle up. 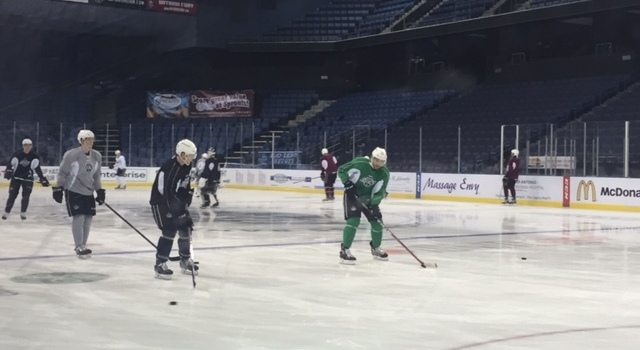 Lots of notes from today’s rare 1 p.m. practice at CBBA following a win and a long night of travel for the Reign back home to Ontario. 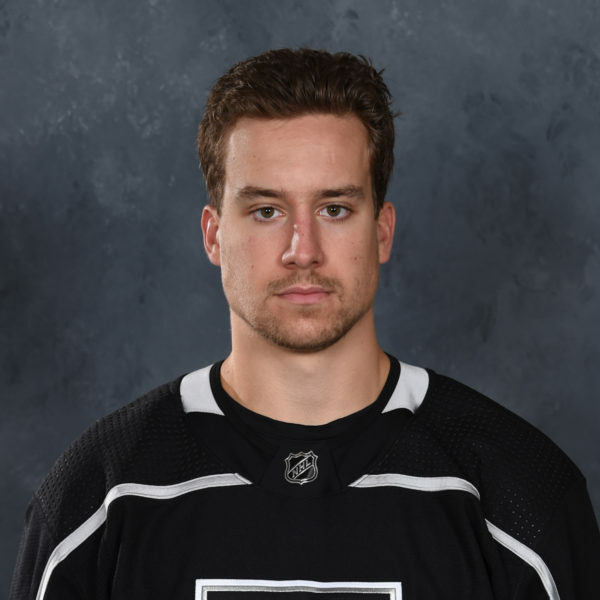 –A day removed from the hearing the news of his 12-game suspension for his hit on the Gulls’ Matt Bailey last Saturday, Reign defenseman Kurtis MacDermid provided his first comments on what happened. “It was just a hockey play and I was just trying to finish my check and that’s all I can really say about it,” said MacDermid, who practiced with the team but was the odd man out on certain drills. MacDermid received a match penalty for a check to the head on the hit that caused Bailey to suffer multiple facial/jaw fractures, according to TSN’s Darren Dreger. “We cannot be more clear that that was never the intent for anybody to be hurt and nobody likes to see any player hurt whether it’s your own team or the opposition,” Stothers said Wednesday. “Yeah, it’s a great rivalry between us and San Diego and it’s a great rivalry between all the teams that we have out here in California, but it’s never, on either side, there isn’t a point where you want to see someone hurt. It’s just playing hard. So it’s unfortunate and I know Derm’s upset that he injured somebody. So hopefully Bailey will recover from his injuries and be able to resume his career and I guess Kurtis will sit out his 12 games and hopefully be a little more aware of what he needs to do to play a hard, physical brand but make sure that it’s played with the respect that the league is looking for.” MacDermid didn’t travel with the team to Stockton as the Reign already received a memo that the play was under review and he had been suspended until further notice. 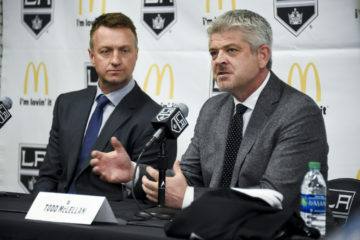 Now, MacDermid is just trying to look forward: “Obviously it’s been tough, but there’s nothing I can do now except for work out and keep in shape and keep getting better every day.” Stothers, as a coach, is looking forward as well. “It’s a tough lesson and we’ll adhere to it and we’ll try to be better in schooling our players and making them aware of the opposition and when they’re vulnerable and hopefully it just makes for a better game,” he said. 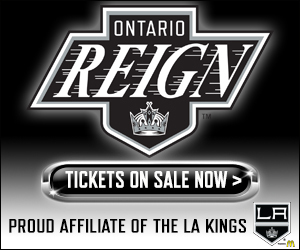 –Kings prospect Alex Lintuniemi remains in Ontario after having wrist surgery and came on the ice toward the tail end of practice (wearing a red no-contact jersey) to get in some skating work with assistant coach Chris Hajt. Stothers said the defenseman’s been skating with the team sporadically as he’s recovering, but he’s limited to skating for now. 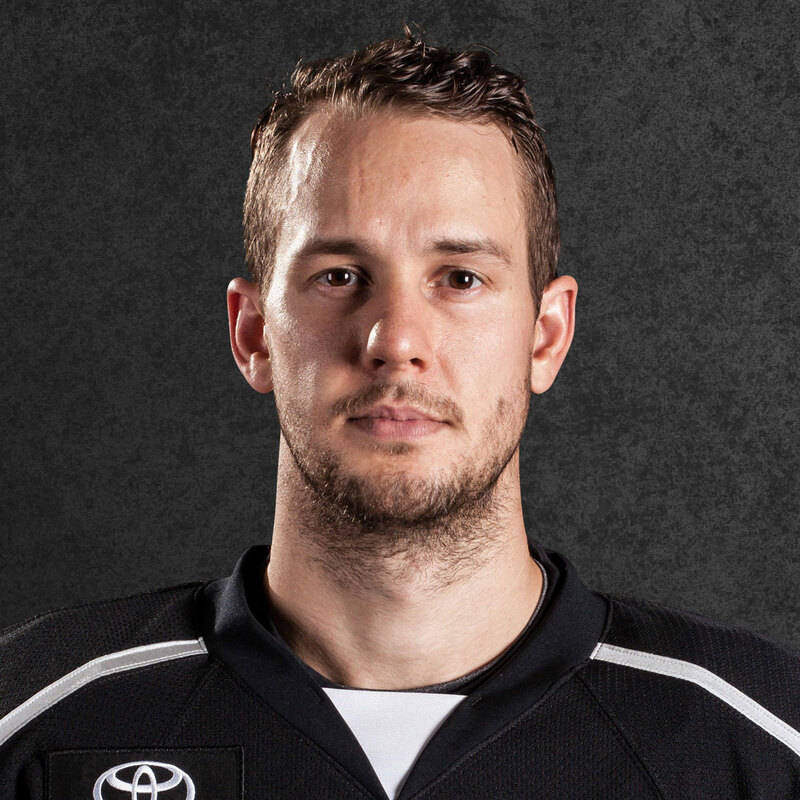 –Jonny Brodzinski provided all the Reign scoring in his first multi-goal game of the season in Tuesday’s 2-1 win over Stockton. 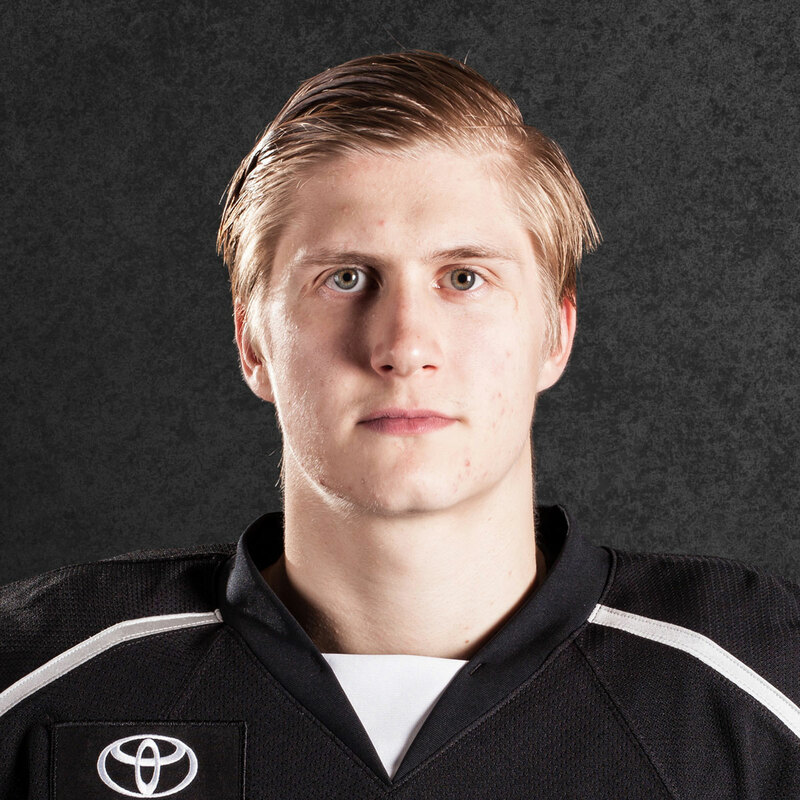 The winger has seen his minutes increase in the absence of Mersch (with Kings) and Adrian Kempe (at World Juniors). I caught up with him after practice about how his game has changed throughout the course of his rookie season. I think just overall handling the puck. Our line (with Jordan Samuels-Thomas and Andrew Crescenzi) as a whole has just been working really well together and I guess the confidence grows when you’re playing well as a group. 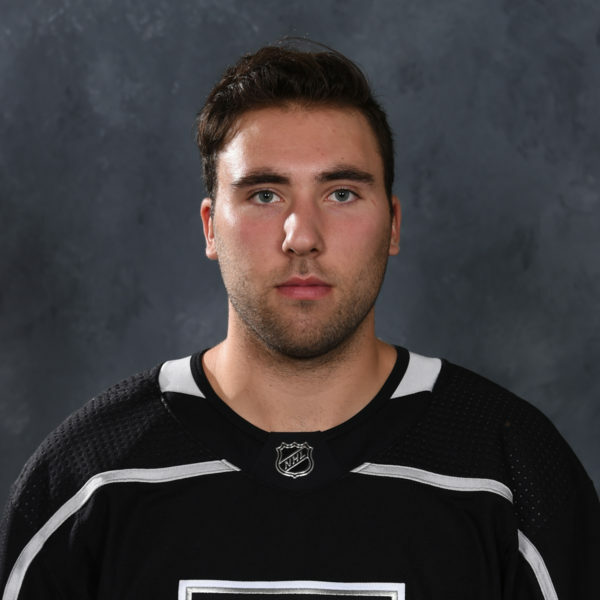 With guys short with Kempe gone and Merschy being called up, it’s tough, but at the same time guys’ve got to step up and I think that’s what our line is doing right now and I think our whole team as a whole is right now. For sure. Just getting a little bit more minutes now, a little bit more power play time so it’s obviously a huge time to step up and be that guy. At the beginning of the year I thought I was little, not overweight but just not in shape as much as I wanted to be coming off of the summer. But, after all the Stuttsy practices, it’s crazy how he can whip you into shape pretty quick. The game just kind of slows down after a while. I got a text from Brian O’Neill at the beginning of the year just after about 15 games he just told me to just play the way I can play and good things will happen. I just kept plugging away and good things are starting to happen, but the beginning of the year it was tough right away, definitely. You question yourself after a while but you’ve just got to keep going and good things will happen. That was a big thing at the beginning of the year, I wanted to get four shots a game, 4-5 shots a game, that was kind of my goal. And I think these last couple of games I’ve been getting upwards of 6, 7, sometimes 8 shots in a game. The ability to find a way to get the puck to the net will obviously get you more opportunities, get your line more opportunities and you’ll score goals. « Previous Post What’s Bill Ranford working on with Jonathan Quick?